Something that newer readers may not know is that I am only half proud Newfoundlander Nan. The other half of me is proud Italian Nonna. There are many correlations between my two cultures, including fierce love of family, a passion for food and cooking, and the deep ties between the two. On March 10, I lost one of the most importation people in my life. My Nonno (grandfather) passed away just shy of his 88th birthday. 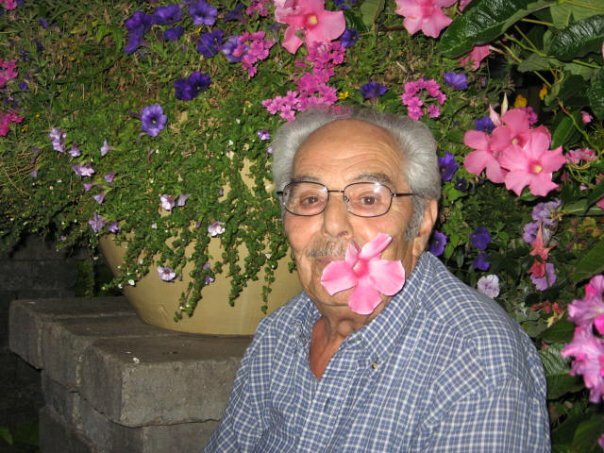 Nonno was a funny man who loved his family dearly, and loved to cook for us. He kindled my love of cooking. So on the last night we would all be together in his house, we cooked his signature Sunday dinner; a feast to remember. You know the days when like, yeah, it’s still winter, but it’s crisp and clear, chilly but bright, and the only snow falling is like little fluffy cotton balls. That was today. Today I had to wake up early, for an itty-bitty shift: 8 am to noon. The early rise and the early finish meant that I had the day at my leisure. So once I roused Liam out of bed, there was only one thing to do. Head straight downtown for a stroll in the sun, and brunch at the Bagel Cafe. Before I start on today’s review, let me paint you a picture. You’re driving along, and on the side of the road you see a small, nondescript building. It may have white clapboard, and it almost definitely has a Pepsi symbol on its sign. You pull into the parking lot and before you step out – before your door is even open – you smell it. The air is heavy with grease and deliciousness. You walk in the door to a small dining room with small booths, or a few basic kitchen tables and chairs. You squeeze in wherever you can in the crowded room, and in a short amount of time you have a fresh, hot, delicious plate of greasy goodness in front of you.